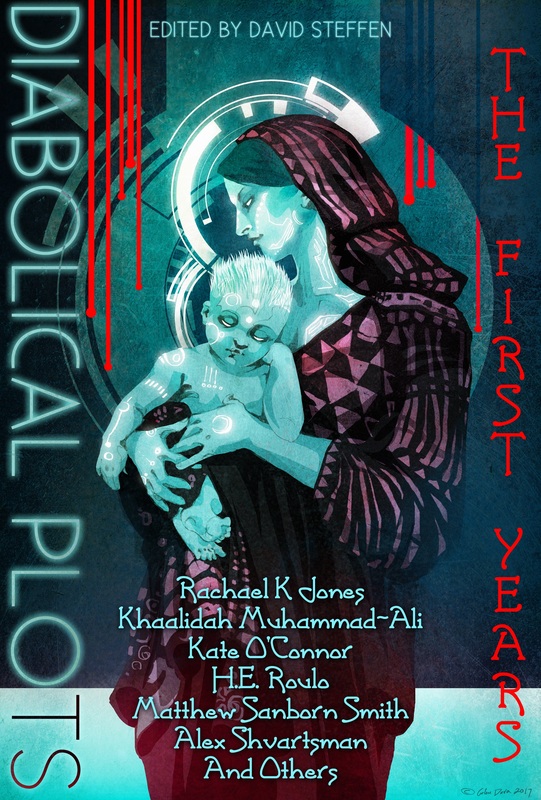 This anthology collects 26 original stories that will run in the fifth year of Diabolical Plots, an online magazine of science fiction and fantasy. A metrics-driven approach for utopia, a fantastical YouTube challenge, a Lovecraftian Millennial thinkpiece, correspondence with a professor at a magical school, time trains, magical idols in a magicless place, millenni. The stories vary from humorous to tragic to thoughtful, from contemporary authors both new and established. Half of the stories in this anthology you can read here for the very first time! This is the fourth annual edition of the Long List Anthology. Every year, supporting members of WorldCon nominate their favorite stories first published during the previous year to determine the top five in each category for the final Hugo Award ballot. This is an anthology collecting more of the stories from that nomination list to get them to more readers. 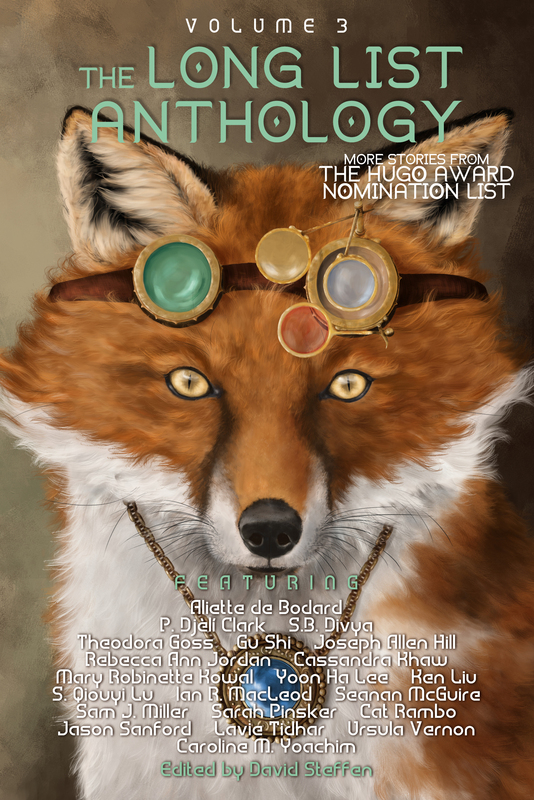 The Long List Anthology Volume 4 collects 15 science fiction, fantasy, and horror stories from that nomination list, totaling over 300 pages of fiction by writers from all corners of the world. From utopian science fiction to dystopian horror, from a society based entirely on personal upvotes/downvotes to one where one’s status is defined by enchanted gloves, from a kickass blockade-running spaceship pilot to an artist who can twist the world with his perspective. There is a wide variety of styles and types of stories here, and something for everyone. 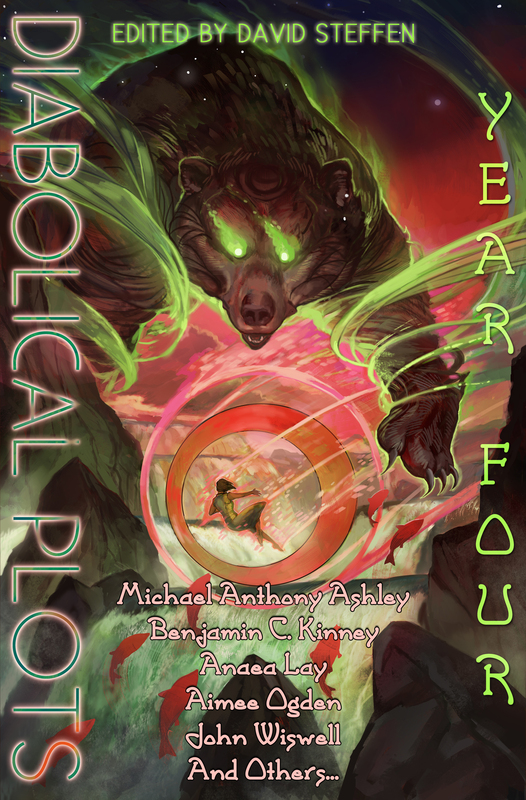 This anthology collects all 25 original stories from the fourth year of Diabolical Plots, an online magazine of science fiction and fantasy. Manuals for memory tourism, a secret order of monks that tries to use a scriptural technicality to put off the end of the world indefinitely, a friendly nonbinary tank at a science fiction convention, a questionable academic paper published at a university of magic, living fossils awakened when the coal formed of them burns. The stories vary from humorous to tragic to thoughtful, from contemporary authors both new and established. 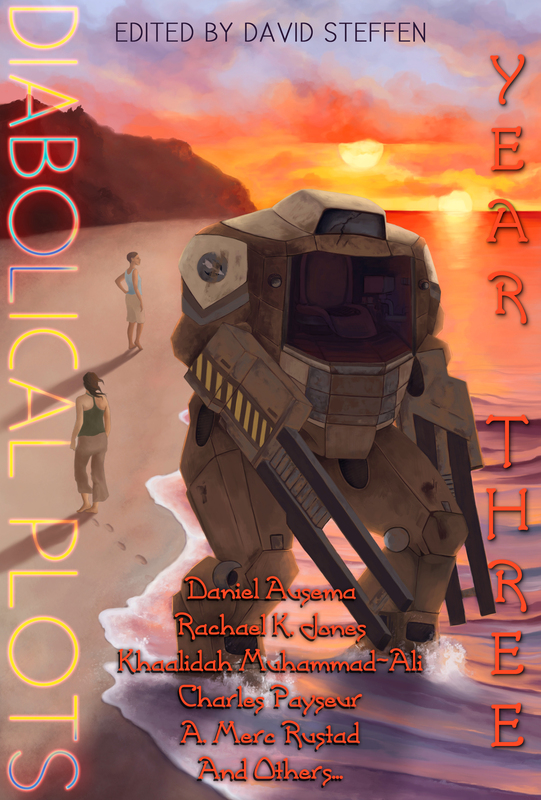 This anthology collects all 24 original stories from the third year of Diabolical Plots, an online magazine of science fiction and fantasy. Lovecraftian food bloggers, doors that bring back the dead, fantastical roommates apartment hunting in Brooklyn, oversea octopus explorers, sisterly love and rivalry in space, living breathing sweaters. The stories vary from humorous to tragic to thoughtful, from contemporary authors both new and established. 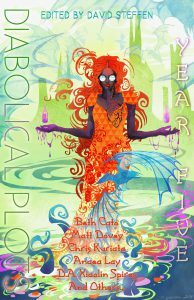 This anthology collects all 25 original stories from the first two years of Diabolical Plots, an online magazine of science fiction and fantasy, with a preference for the weird. Evangelist Roombas, cybernetic giraffes, psychosomatic hair syndrome, sentient ships who must maintain their human ecosystems inside them for their own health. The stories vary from humorous to tragic to thoughtful, from contemporary authors both new and established. The Long List Anthology Volume 3 collects 20 science fiction, fantasy, and horror stories from that nomination list, totaling over 500 pages of fiction by writers from all corners of the world. From intelligent appliances gone feral to Lovecraftian detective noir, from tech-enhanced wilderness races to Egyptian science fantasy steampunk, from hard science fiction to fairy tale to humor and more. There is a wide variety of styles and types of stories here, and something for everyone. This is the second annual edition of the Long List Anthology. Every year, supporting members of WorldCon nominate their favorite stories first published during the previous year to determine the top five in each category for the final Hugo Award ballot. Between the announcement of the ballot and the Hugo Award ceremony at WorldCon, these works often become the center of much attention (and contention) across fandom. 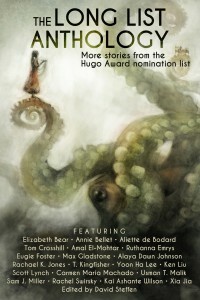 But there are more stories loved by the Hugo voters, stories on the longer nomination list that WSFS publishes after the Hugo Award ceremony at WorldCon. The Long List Anthology Volume 2 collects 18 fiction stories from that nomination list, along with 2 essays from the book Letters to Tiptree that was also on the nomination list, totaling over 500 pages of fiction by writers from all corners of the world. Within these pages you will find a mix of science fiction and fantasy and horror, the dramatic and the lighthearted, from android caretakers to Lovecraftian romances, from adventures to quests and more. There is a wide variety of styles and types of stories here, and something for everyone. The Hugo Award is one of the most prestigious speculative fiction literary awards. 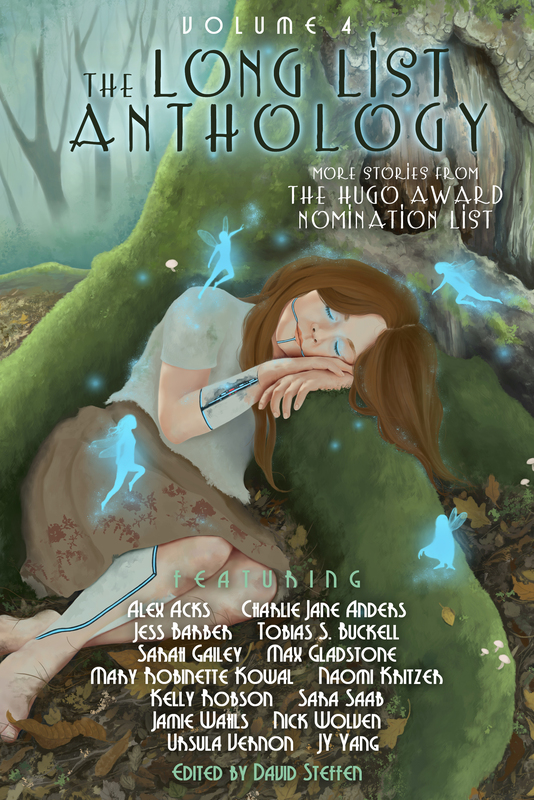 Every year, supporting members of WorldCon nominate their favorite stories first published during the previous year to determine the top five in each category for the final Hugo Award ballot. Between the announcement of the ballot and the Hugo Award ceremony at WorldCon, these works often become the center of much attention (and contention) across fandom. But there are more stories loved by the Hugo voters, stories on the longer nomination list that WSFS publishes after the Hugo Award ceremony at WorldCon. The Long List Anthology collects 21 tales from that nomination list, totaling almost 500 pages of fiction by writers from all corners of the world. Within these pages you will find a mix of science fiction and fantasy, the dramatic and the lighthearted, from near future android stories to steampunk heists, too-plausible dystopias to contemporary vampire stories. 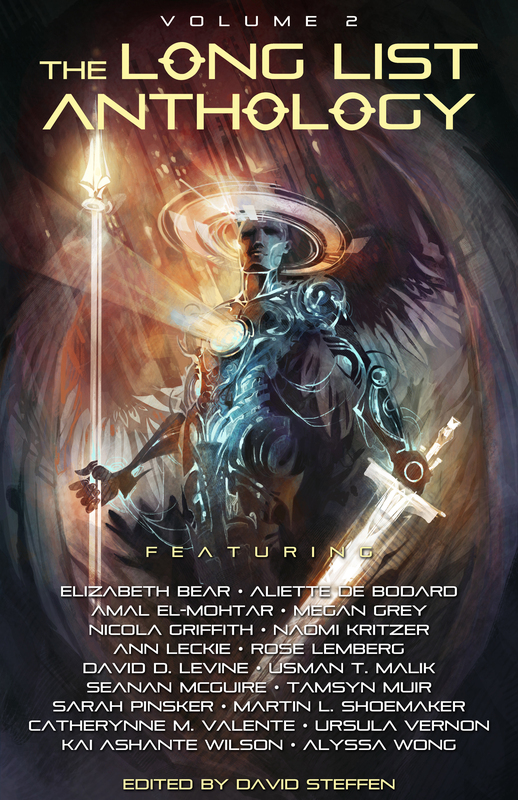 The cover art is by the Hugo-Award winning artist Galen Dara, the cover layout by Pat R. Steiner, and the interior layout by Polgarus Studios. Audiobook production by Skyboat Media.